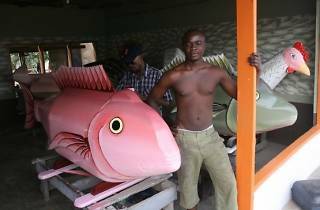 Eric Adjetey Anang is dedicated to develop the art initiated by his grandfather Seth Kane Kwei in the 50s. 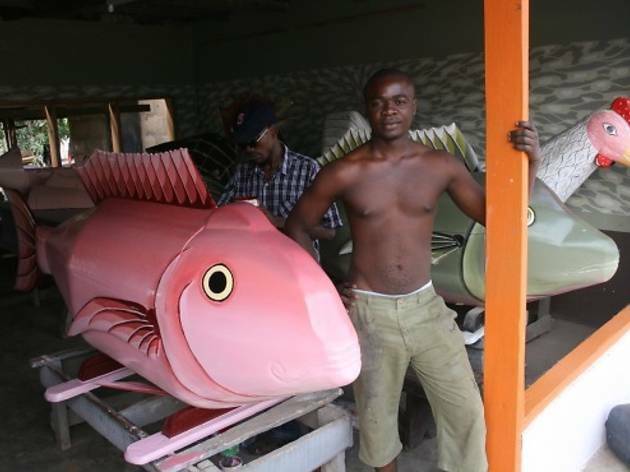 Recognized in Ghana as a coffin maker, he is renowned abroad as an artist and a designer. He is regularly invited to present his work at international events, works with Western designers and is involved in educational projects.